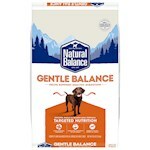 When it comes to switching your dog's food from one brand to another, there are certain steps pet parents should take during the process in order to avoid tummy problems. Learn more about how to make the transition to new food a smooth one. There are all sorts of reasons you might need to change dog foods. Maybe your puppy is making the transition into adulthood. Maybe you’ve noticed excessive licking, gas, troubling bathroom time, or an apparent upset stomach, and you’re concerned the cause could be diet-related. Maybe the price went way up on your regular food, and you need to reevaluate your budget. Changing food isn’t rocket science, but it shouldn’t be taken lightly either. Changing dog foods abruptly can cause your pet to suffer from gas, bloating, diarrhea, or even more serious complications. Slow and steady wins the race when it comes to making major changes to your dog’s diet. As with most doggie caregiving, a bit of patience and attention can get the job done properly. How Often is Too Often to Change Your Dog’s Food? Avoid switching your dog’s foods when there’s not a compelling reason to do so -- no more than every 4-6 months or so -- to avoid digestive problems. Don’t rely on whatever is on sale. Instead, choose a food that works for your budget, and try to stick with it for at least a few months in a row. There are some experts that suggest switching foods every so often, just in case one food is not meeting a particular requirement due to unknown nutrient interactions. In general, however, you should be able to stick with one food for an extended period of time. Don't fix what ain't broke. How Long Should it Take to Change Your Dog to a New Food? 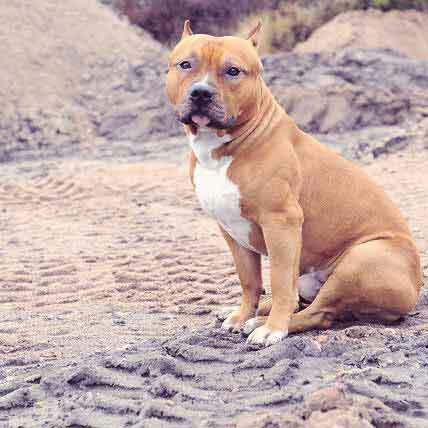 You should allot at least 4 or 5 days for the transition from old to new dog food. You can stretch things out longer if you’re concerned about your dog’s sensitive stomach, or if you’d like to empty out that giant bag of old food. The best approach is a slow transition. Introduce the new food as you fade out the old food. A dramatic change can cause diarrhea or other more serious problems, so take your time. The following chart outlines a healthy and manageable plan for the shortest transition you should attempt. If you prefer to make things last longer, spend an extra day or two at each phase. 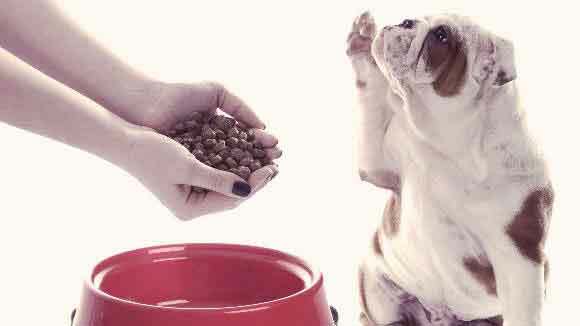 If your dog resists the change, try mixing in small amounts of wet food or cooked meat to entice them. However, if your dog is not transitioning well, they may be trying to tell you something with their dislike of the new kibble. In addition to switching out your dog’s food over a number of days, make these transition meals smaller and more frequent to help ease the change. 1There are many good reasons to change your dog’s food, but avoid doing so more than 2-3 times a year. 2Most importantly: don’t be too abrupt. 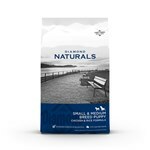 Change your dog’s food gradually, over a period of days. 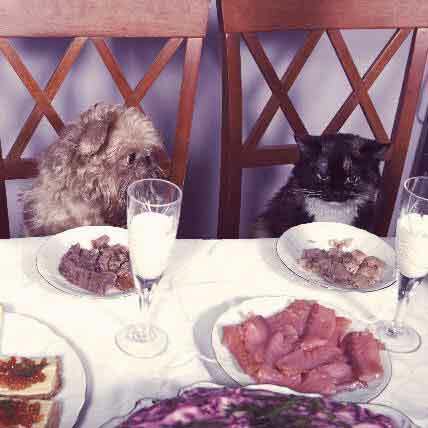 3It should take at least four days to switch your dog completely to a new food. 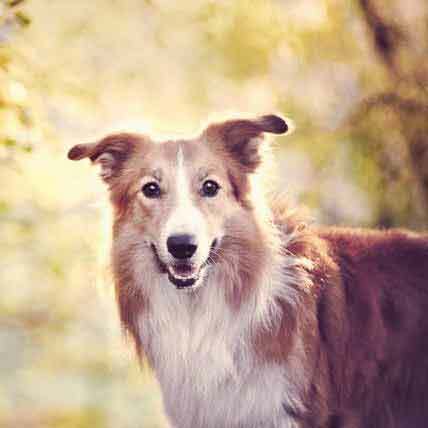 How Can I Get my Collie to Fatten Up? 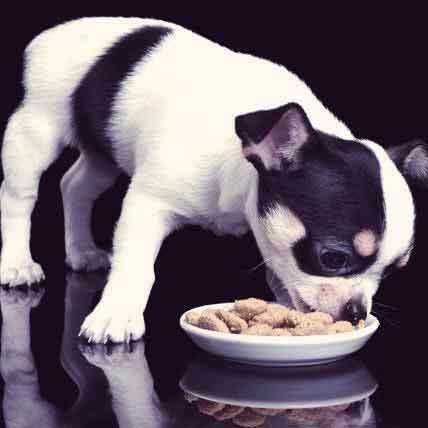 What Is Packaged Raw Dog Food?